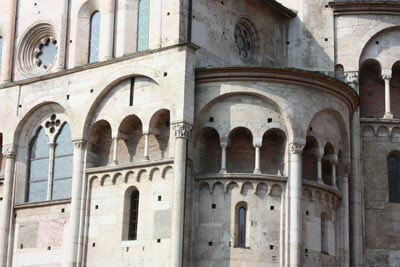 Planning a vacation in Emilia Romagna, Italy? A region such as Emilia Romagna can offer the discerning and demanding traveller a perfect vacation, not just something, but everything: art, culture, nature, history, leisure, wellness, relaxation, sea, mountains and good food. Only a few other regions in Europe can boast all of this this: from the splendid city of art, dotted with monuments that trace back to ancient origins, small medieval villages clinging to the hills, The churches in the middle of green scenery, the myriad of castles imposing sumptuous amongst the green countryside. It is not just for those seeking relaxation and tranquillity, there are dozens of places that offer health, beauty and activities. The Adriatic sea, equipped with beach resorts for the summer tourism catering for young people who are attracted to the vibrant night-life of the beach. The coast also has other jewels to offer, just think of the Regional Park of the Po’ Delta, one of the most important wetlands in Italy with unique flora and fauna and amazing scenery. The hinterland and the Apennines, with miles of trails ideal for hiking or excursions into the woods, lakes and waterfalls, some are protected areas where nature is still intact. If that was not enough, the region boasts the best eno-gastronomic scenario, in fact one of the most sumptuous in the world: Parmigiano Reggiano, Prosciutto di Parma, Prosciutto di Modena, Culatello, Felino salami, Cotechino di Modena, all awarded the PDO and PGI. They are also accompanied by robust and sincere wines such as Lambrusco, Albana, Sangiovese. These are just some of the delicacies that made the Emilia Romagna the kingdom of taste and good food. Last but not least, we are in the land of motor sports, home to the factories of famous brands that have made the history like Ferrari, Lamborghini, Maserati and Ducati. It is also where where major events are hosted at the Imola circuit in Misano Adriatico. Is this enough for a vacation?